Summarise the regulatory framework for the communications sector. Do any foreign ownership restrictions apply to communications services? The major statutory regulation applicable to the operation of electronic communications networks (ECNs) and electronic communications services (ECSs) in Bulgaria stems from a number of statutory instruments, including the Constitution of the Republic of Bulgaria, the Law on Electronic Communications (LEC) (available at www.cpdp.bg/en/index.php?p=element&aid=433), the Law on Personal Data Protection (available at www.cpdp.bg/en/index.php?p=element&aid=373), the Law on Technical Requirements to Products, and the Law on Protection of Competition. The aforementioned primary legislative acts are supported by a number of instruments of the secondary legislation and regulations adopted by the national regulatory authority or by other competent bodies. The national regulatory framework in effect is generally compliant with the EU’s regulatory framework for electronic communications and it transposes the principles set out in the EU 2009 Regulatory Package. The governmental policy in the sector is implemented by the Council of Ministers, the National Radio Frequencies Spectrum Council and the Minister of Transport, Information Technology and Communications and the State e-Government Agency. The Bulgarian national regulatory authority is the Communications Regulation Commission (CRC). The CRC acts in cooperation and coordination with other authorities such as the Bulgarian Commission for Protection of Competition (CPC) (which has the primary responsibility for enforcement of fair competition rules) and the Personal Data Protection Commission (which has been entrusted with the regulation and control of the processing of individuals’ personal data) (see also question 28). No foreign ownership restrictions apply to the providers of ECSs. Pursuant to the Law on the Economic and Financial Relations with Entities Registered in Jurisdictions with a Preferred Tax Regime, their Related Parties and their Ultimate Shareholders, however, effective as of 1 January 2014, entities registered in a jurisdiction with a preferred tax regime, as well as their related parties, are not eligible to acquire ownership participation in a mobile operator or to participate (directly or indirectly) in procedures for granting a permit for provision of services as a mobile operator, unless certain conditions are met. Describe the authorisation or licensing regime. The LEC provides that public ECNs and ECSs can be provided freely after submission of a notification to the CRC, unless individually allocated scarce resources (eg, radio frequencies, addresses, numbers from the National Numbering Plan (available at www.crc.bg/files/_en/bulgarian_NNP-en-2012.pdf), etc) are required. In the latter case, ECNs and ECSs may only be provided upon issuance by the CRC of a permit for the use of the respective individually allocated scarce resource. Hence no distinction is made as to the type of network or service (mobile, fixed or satellite services, mobile, fixed, Wi-Fi, etc internet access), rather the regulatory regime depends on the use of scarce resource. The notification procedure is straightforward and free of charge, and it normally takes about 14 days for the CRC to review the notification and to register the undertaking with the register of the undertakings that have notified the CRC about their intention to provide public electronic communications. An undertaking that has filed a notification for provision of ECNs or ECSs has an obligation to comply with certain general requirements adopted by the regulator, depending on the type of network or services provided (eg, certain technical, reporting, procedural, data protection, retention, consumer protection, law enforcement obligations, etc). The rights and obligations of the ECNs or ECSs provider arise as of the date of the duly filed notification and are not limited in time. The undertaking operating under such authorisation has an obligation to inform the regulator within 14 days of any change to the data stated in the notification and may terminate the provision of electronic communications upon submission of notification to the CRC. Where the provision of electronic communications requires the allocation of a scarce resource, electronic communications shall be carried out upon the issuance of a permit. If use of an individually allocated scarce resource - numbers - is required, the permit shall be granted without any auction or tender. The permit for use of individually allocated radio frequency spectrum shall be awarded on a competitive basis if the number of applicants exceeds the number of persons that may be granted a permit for the available radio frequencies. A permit for use of individually allocated radio frequency spectrum is awarded without auction or tender in the cases explicitly specified by law, including, among others: where the number of applicants is lower or equal to the number of persons that may be granted a permit for the available spectrum; and for carrying out electronic communications through the use of analogue ECNs for terrestrial analogue radio broadcasting. A distinction in spectrum allocation for mobile, fixed and satellite usage is made in the State Policy on Planning and Allocation of the Radio Frequency Spectrum adopted by the Council of Ministers. The National Plan further allocates radio frequency bands, distinguishing between mobile, fixed and satellite usage. A permit for the use of an individually allocated scarce resource is granted for an initial period of up to 20 years, with the possibility for extension of up to 10 more years. The permit may be modified by a decision of the CRC upon the latter’s initiative on grounds provided by the LEC (including, among others, changes in the applicable laws, reasons related to the public interest and aiming at efficient use of scarce resources, protection of consumers’ interests and ensuring universal service) or upon the permit holder’s initiative. Undertakings carrying out electronic communications have to pay: an annual fee for the CRC’s controlling activities of up to 1.2 per cent (currently for undertakings having an annual gross income over 100,000 leva the fee is set to 0.2 per cent, while for undertakings having an annual gross income below 100,000 leva the fee is zero per cent) over the annual gross income from the provision of ECNs or ECSs, VAT not included and following deductions as provided for by the law; and a one-time fee for administrative services. In addition, undertakings using individually allocated scarce resources have to pay: an annual fee for use of such resource (the amount of the annual fee for the use of an individually allocated scarce resource shall be determined on the basis of criteria set forth by the law, such as territorial coverage of the permit, term of spectrum use (in respect of radio frequencies), availability and economic value of numbers from particular number ranges (in respect of numbers, etc); and a one-time fee for granting, amendment or supplement of a permit for use of such resource. Do spectrum licences generally specify the permitted use or is permitted use (fully or partly) unrestricted? Is licensed spectrum tradable or assignable? The permit for granting the use of an individually allocated scarce resource generally specifies the permitted use. Bulgarian law allows the transfer of a permit or (with respect to a permit for the use of individually allocated radio frequencies) part of the rights and obligations pertaining to the permit, as well as the lease of the individually allocated radio frequencies after the prior approval of the CRC. The CRC shall issue such approval if the contemplated transfer or lease shall not negatively affect competition or lead to changes in the conditions of use of the scarce resource. Specific requirements related to the transfer of a permit are set forth in secondary legislation issued by the CRC. Which communications markets and segments are subject to ex-ante regulation? What remedies may be imposed? The LEC contains a number of specific provisions aimed at preventing operators with significant market power (SMP) from carrying out anticompetitive practices. These provisions are enforced by the CRC, whose task, among many others, is to define and periodically analyse the relevant markets for network infrastructure and communication services, in order to determine whether effective competition exists. The CRC conducts the analysis in accordance with the methods and principles of competition law (ie, effective competition is deemed to be absent if one or more undertakings have SMP in a relevant market). In line with article 16(4) of the Framework Directive, the LEC defines SMP as a position equivalent to dominance (ie, a position of economic strength vesting in a single undertaking (or a group of undertakings) the power to behave to an appreciable extent independently of competitors, users and end users). By the end of 2013, the CRC had completed its market analysis of all markets identified in the Second Recommendation of the European Commission on the relevant markets and had imposed preliminary measures or remedies with respect to most of them. In line with the 2014 Relevant Market Recommendation, the CRC redefined the markets and initiated a new set of procedures. In June 2016 the authority adopted Decision No. 356/2016 where it confirmed that the market for call origination on individual public telephone networks provided at a fixed location has reached a sufficient degree of competitiveness and did not require further ex-ante regulation. The CRC reached this conclusion on the basis of several criteria, including inter alia the growing number of undertakings providing retail services on the market, the existence of five competing national fixed networks, the ongoing development of alternative infrastructures, four of which have national coverage, the lack of demand for carrier selection and carrier pre-selection wholesale services, and the lasting trend of growing market shares of alternative undertakings at the expense of the incumbent Bulgarian Telecommunications Company (BTC). In the light of the above market developments, the authority concluded that competition law is more suitable to address potential market problems than ex-ante regulatory intervention. Accordingly, the specific obligations that were imposed on BTC in the past were removed following a transitional period that expired in November 2016. Similarly, by Decision No. 581/2016, the CRC ruled that the market for access to a public telephone network at fixed location for home and business customers is sufficiently competitive and does not require ex-ante regulation. In parallel (with the same Decision No. 356/2016), the CRC concluded that there are no products available that may be considered a substitute for the service of terminating a call on individual public telephone networks provided at a fixed location (market 1 in the Third Recommendation). Therefore, the authority concluded that all undertakings that provide wholesale call termination services at a fixed location have SMP, as every fixed network represents a separate market for call termination. The CRC impose on all 21 SMP operators the obligations of access, transparency, non-discrimination and complying with price control. BTC was obliged, in addition, to publish a reference offer and to follow accounting separation. Again, in June 2016, the CRC adopted Decision No. 357/2016 with respect to the market for wholesale voice call termination on individual mobile networks (market 2 in the Third Recommendation). As with the preceding Decision No. 1362/2012, the authority held that each mobile network operator (at that time a total of four: Mobiltel, Telenor, BTC/Vivacom and Max Telecom) had SMP in their respective networks, and each of them had to comply with obligations for access and interconnection, transparency, non-discrimination, separate accounting, and cost-oriented pricing. Subsequently, Max Telecom went bankrupt and in September 2017 sold with CRC authorisation all of its radio spectrum licences to another company - T.Com. As of the time of writing, the latter company is not yet fully operational and the CRC has not issued a decision imposing ex-ante obligations. Since 2013 (by virtue of CRC Decision No. 135/2013), the rates for mobile and fixed call termination are determined in accordance with the bottom-up long-run incremental costs (BULRIC) model. All SMP operators are obliged to notify changes in the prices of regulated services to the CRC one month prior to entry into force, and prices of temporary promotional packages must be notified at least two weeks prior to implementation. Twice a year the CRC may require SMP undertakings to prove the cost orientation of prices, allowing them one month to comply. If they fail to adjust prices or to prove the cost orientation, the authority may impose one or more of the price control mechanisms for a period not exceeding six months. Because the negotiations on the actual application of the BULRIC model in the cost allocation structure of individual operators was progressing slowly, the CRC imposed an interim termination price of 0.019 levs per minute. In November 2016 the BULRIC calculation was finalised and adopted by Decision No. 585/2016, leading to imposition of a termination price of 0.014 levs per minute for the period 2016 to 2020. The analysis of the wholesale local access provided at a fixed location (market 3a in the Third Recommendation) was completed earlier in 2015 leading to the adoption of CRC Decision No. 372/2015. Pursuant to the analysis, the authority concluded that BTC is an operator with SMP, thus including continued obligations to allow subscriber line access, physical and virtual collocation, backhaul services, and additional obligations for non-discrimination, transparency and cost-oriented pricing with a specific price ceiling for access to the copper twisted pair and collocation. In August 2016 the CRC also completed its analysis of the market for wholesale high-quality access provided at a fixed location (market 4 in the Third Recommendation). Back in 2012, BTC was designated as an operator with SMP on the market for wholesale terminating segments of leased lines (up to 8Mbit/s) and obliged to provide access to and use of the respective facilities as well as additional pricing restrictions. Pursuant to Decision No. 412/2016 it was concluded that the market is sufficiently competitive, and all specific obligations imposed on BTC were removed. For a transitional period of six months, BTC was obliged not to terminate or modify unilaterally existing wholesale leased lines agreements. As of February 2017, this market is fully liberalised. Is there a legal basis for requiring structural or functional separation between an operator’s network and service activities? Has structural or functional separation been introduced or is it being contemplated? If the CRC determines that effective competition in a relevant market is deterred by a vertically integrated undertaking with SMP, it may order functional separation, placing the activities related to wholesale provision of access services in an independently operating company. The separated undertaking must supply wholesale access services to all operators, including to related parties, on the same terms and conditions, including prices and timescales. 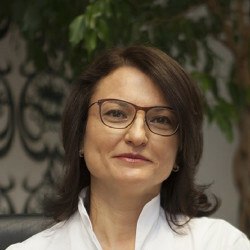 It should be noted that functional separation is an extraordinary measure that has not been used to date in Bulgaria, and the law prescribes that it must be applied only where all other measures have failed and there are important and persisting competition problems or distortion in relevant markets for wholesale access. The CRC may impose this obligation after completing public consultations and subject to authorisation by the European Commission. Outline any universal service obligations. How is provision of these services financed? In compliance with the Universal Services Directive, the LEC contains provisions regarding the scope, designation of provision and financing of universal service obligations. ‘Universal service’ (US) is defined as a set of services with a predetermined quality that must be offered to all end users at an accessible price, irrespective of their location in Bulgaria. The services encompassing the US obligation are listed in a specific piece of secondary legislation and namely, the Regulation No. 6 of 3 March 2008 on the US under the LEC (as subsequently amended and supplemented). The services covered by the US include voice services (fixed-line private residential national and international calls service and fixed-line public payphone service), internet services (dial-up internet access) as well as emergency services, services for impaired or elderly people and directory services. The US provider must be compensated for its net costs where the provision of service represents an unfair burden for the undertaking. The existence of an unfair burden must be determined on the basis of the net costs and taking into consideration the intangible advantages for the US provider associated with the provision of the US, provided that the US is provided at a loss or at price below the reasonable margin of profit. The rules for calculating the net costs are drafted by the CRC. Currently the former incumbent operator BTC/Vivacom has the obligation to provide the US. A US fund was established, but so far the latter has not carried out collection and distribution of funds, because up to and during 2016 BTC/Vivacom has not submitted a claim for financial compensation. Describe the number allocation scheme and number portability regime in your jurisdiction. Numbers are considered to be a scarce resource and therefore the rights of use for numbers are granted through a permit issued by the CRC on an individual basis. Rights of use for individually allocated numbers can be granted only to undertakings that provide electronic communications through: ECNs for publicly available telephone services; and ECNs for providing public electronic communications services, which are accessed through numbers from the National Numbering Plan. The National Numbering Plan is adopted by the CRC. The CRC is the authority vested with the powers to allocate, reserve and withdraw the usage of numbers. See question 1 for granting of the permits and duration. in the case of non-geographic services, the numbers would be retained at any location, also irrespective of the change of the provider of non-geographic services. In implementation of the number portability rules, the CRC has issued functional specifications for number portability, containing technical conditions for carrying out the porting, rights and obligations of the operators, procedure, pricing and expenditure distribution principles. Further to the functional specifications and under the supervision of the CRC, the respective groups of operators using a particular type of number (for mobile, non-geographic or geographic services) have elaborated on the number portability procedure in detail. Are customer terms and conditions in the communications sector subject to specific rules? Pursuant to the LEC, undertakings providing ECSs must offer those services to end users in compliance with the principles of transparency and equal treatment with respect to the type of technology used, the categories of subscribers, the amount of traffic and the means of payment, and must not offer advantages to individual end users or groups of end users for the same services. Nevertheless, undertakings providing connection to public ECNs or public ECSs may use general terms and conditions (GTCs) in contracts with end users, which should be publicly available and must constitute an inseparable part of the individual contracts. a current list of programmes included in the chosen packaged (in case of provision of TV services). Implementing article 30(5) and (6) of the Universal Service Directive, the LEC requires that the initial term of contracts between end users and ECSs providers does not exceed two years and that the undertakings offer to end users the option to enter into a contract of up to one year. The conditions and procedures for contract termination must not hinder the ability of an end user to change service providers. In addition, since 2012, on expiry of the original fixed term all contracts become of indefinite duration and may be terminated by customers on one month’s notice. control of individual tariffs - direct micromanagement of tariff elements. Are there limits on an internet service provider’s freedom to control or prioritise the type or source of data that it delivers? Are there any other specific regulations or guidelines on net neutrality? Apart from the EU harmonised rules (eg, Regulation (EU) 2015/2120, which entered into force in 2016), Bulgarian law still does not specifically regulate net neutrality matters. The CRC is currently in the process of preparing a position or statement clarifying certain general terms set forth by Regulation (EU) 2015/2120, including with respect to the speed of the service and the transparency of the contractual terms. Pursuant to the latest annual report on the compliance with the requirements of Regulation (EU) 2015/2120 (issued in 2016), the CRC has established that in reality, the internet service providers do apply certain measures for network traffic management, such as blocking the access to the websites of organisers of gambling games that are not authorised under the Bulgarian Law on Gambling. However, such measures have been assessed as reasonable and acceptable exceptions as in Bulgaria they are carried out in execution of a court order of the chairman of the Sofia District Court issued in respect of implementing the statutory rules of the Bulgarian Law on Gambling. Additional practices established by the CRC include: the designation of internet protocol television (IPTV) as a service optimised for specific content and in cases of shared capacity - prioritising of the IPTV traffic to ensure the capacity and quality of the IPTV as an optimised service; and temporary or permanent blocking of network ports, mainly to ensure the integrity and security of the network, end users’ terminal equipment and safeguarding from distributed denial of service (DDOS) and virus attacks, spam and password fishing. So far, the CRC has not identified practices related to limitations of the use of end-user devices imposed by the internet service providers, but the commission has identified the offering by mobile operators of bundled services covering apps and traffic (eg, ‘zero rating’ when certain apps are used or in accessing certain websites) and as of the time of writing, such practises are subject to CRC assessment for price differentiation. Yet, irrespective of the aforementioned developments, the issues of net neutrality seem not to have arisen more prominently in Bulgaria and, at least from a law point of view, net neutrality has not been intensively discussed in the public domain. Is there specific legislation or regulation in place, and have there been any enforcement initiatives, relating to digital platforms? There is no specific piece of Bulgarian legislation that regulates digital platforms. Are there specific regulatory obligations applicable to NGA networks? Is there a government financial scheme to promote basic broadband or NGA broadband penetration? During the last few years the Bulgarian government passed a number of documents focusing on the NGA networks, including the National Plan Regarding Broadband Infrastructure for NGA networks (prepared mainly for utilisation of the EU resources for the 2014-2020 programme period and specifying the means, methods and terms for implementing Digital Agenda 2020) and the National Digital Agenda 2020 Programme (specifying the measures, institutions and terms for ICT development in Bulgaria and for supporting the EU trends and specific tasks). From a legal regulatory perspective, NGA networks are electronic communications networks and in accordance with the technological neutrality principle are subject to the same statutory rules as provided for the networks based on other technologies. In view of the transposition of Directive 2014/61/EU and the need to update the national regulation governing the deployment of electronic communications networks and the related infrastructure, a new Law on Electronic Communications Networks and Physical Infrastructure was adopted and is in force as of 9 March 2018 in this country. Apart from transposing the relevant EU regulation, the new law also aims at codifying the special provisions of the Law on Electronic Communications and the Law on Structure of the Territory applicable to deployment of electronic communications networks as well as encouraging the deployment of high speed networks through supporting joint use and collocation. financial instruments established particularly for the broadband sector (capital financing, bonds, guarantees, project bonds such as the one elaborated by the European Investment bank and the European Commission under the Europe 2020 Project Bond Initiative or other risk-sharing financial instruments). Is there a specific data protection regime applicable to the communications sector? The Law on Data Protection does not contain specific rules regarding the communications sector. The LEC, however, contains certain rules on data protection applicable in the communications sector. In particular, there are specific rules on interception, data retention and disclosure. Under the LEC, operators and service providers must ensure the capacity to intercept electronic communications in real time and the capacity for 24-hour surveillance, as well as access in real time to data related to a specific call. Where such data may not be provided in real time, they must be provided to the specialised Directorate for Operational Technical Operations within the Ministry of the Interior and to the State Agency for National Security within the shortest possible period of time after termination of the call. The interception shall be implemented solely according to the procedure established by the Law on Special Intelligence Means - the piece of legislation that sets out the terms and conditions, procedures and control related to the use of special intelligence means (such as interception and other ancillary covert activities) and the results obtained via these means. Under the rules of the aforesaid law, special intelligence means may be used only for purposes of national security and for the prevention or investigation of intentional serious crimes, provided the necessary data cannot be collected or would be disproportionately difficult to establish by other means. The right to request the use of special intelligence means and to use the data collected and the material pieces of evidence retained is vested only in the governmental authorities explicitly listed in the law. Interception can only be undertaken under a well-grounded written request, extended to the chairman of the relevant competent court (Sofia City Court, district or military court or specialised criminal court) containing the statutory prescribed requisites (such as facts substantiating the view that a grave crime has been committed, the proposed time period for the use of interception, and activities undertaken so far within the investigation). Once the use of special intelligence has been authorised by the respective court, the chairman of the State Agency for Technical Operations issues a written order for enforcing the relevant special intelligence means. Interception may only be conducted by the relevant departments of the State Agency for Technical Operations or one of the other authorities expressly authorised by law. locate the identifier of the mobile phone used. Retention of other data, including data on the contents of the electronic communication messages, is not allowed under the data retention rules. The retained data may be accessed only by the authorities explicitly listed in the law. Such access to the retained data is limited to the needs of national security, the prevention, detection and investigation of grave crimes, including the investigational activity under the Anti-Corruption and Expropriation of Illegally Acquired Property Law. Cell ID data can also be used in the cases of search and rescue of individuals under the Disaster Protection Act (upon receiving information that a person is, or may be, at risk of a threat to his or her life or health). At the end of the six-month period, operators and service providers must delete the respective data. They should submit to the Bulgarian Commission for Personal Data Protection monthly reports (by the fifth of the month) on the data destroyed during the preceding month. Authorisation for access is issued by the chairpersons of the regional courts or a judge authorised by the latter. In a limited number of cases (such as immediate danger from terrorism), ECN operators and ECS providers have to provide access without court authorisation - based solely on the request of the head of the competent authority. However, the competent court is still notified of the request and in the event the court finds no legal grounds to confirm the access to the retained data, the respective provider shall be notified of the denial, while the component authority has to destroy the data obtained. Retained data that has been accessed in accordance with the statutory rules can be retained for an additional three months on the request of the head of the body that has requested access to it and with the authorisation of the chairperson of the respective regional court or a judge authorised by the latter. The LEC does not provide for any mechanism for reimbursement of the costs of an operator or service provider related to data retention and disclosure obligations. Is there specific legislation or regulation in place concerning cybersecurity or network security in your jurisdiction? The only statutory instrument currently dealing directly with cybersecurity matters in Bulgaria is the national Cyber Security Strategy Cyber Resilient Bulgaria 2020 approved by the Council of Ministers on 18 July 2016. The strategy does not provide for detailed rules, rights and obligation, rather it lays down guidelines in the field of cybersecurity and specifies the government bodies that implement and further elaborate the national cybersecurity strategy - the National Coordinator on Cyber Security (which will head the implementation of the cybersecurity strategy and the national plan for cybersecurity activities), the national cybersecurity situation centre (which carries out permanent monitoring of the national cybersecurity framework and coordinates the reaction and response to any cybersecurity crisis, or the respective computer emergency response team/computer security incidents response team) and the emergency response teams (which carry out specific operative and technical activities). Because cybersecurity has been considered as a national security matter, in view of the lack of legislative instrument specifically regulating cybersecurity, the relevant statutory rules applicable in the field of national security shall apply. As a result, particular aspects of cybersecurity (including the national security and emergency powers provided to the respective authorities) are regulated by a number of laws, such as the Law on the Management and Functioning of the National Security Defence System, the Disaster Protection Act setting out the rules applicable to the cases of disasters caused by nature or human conduct, the Law on Electronic Government containing the rules relevant for the information and network security of the state administration’s infrastructure, the Classified Information Protection Act with rules applicable to classified information, the Counter Terrorism Law laying down the rights and obligations of authorities and citizens in the event of terrorism, etc. The information security and network integrity obligations of electronic communications providers in particular are regulated by sector-specific legislation as well. In order to prevent and minimise the impact of security incidents on users and networks, electronic communications providers have to take appropriate technical and organisational measures to manage the risk posed to the security of networks and services and take all necessary steps to guarantee the integrity of the networks and the continuity of service supply. The measures shall ensure a level of security appropriate to the risk, taking into account the nature of the problems and the costs of implementing the said measures. Pursuant to the LEC, electronic communications providers have the obligation to notify the CRC immediately of any breach of security or impairment of integrity that has had a significant impact on the operation of networks or services. The respective criteria for impact assessment and the information required, as well as the form of notification, are set forth in the General Requirements in Carrying out Public Electronic Communications. In addition, upon risk of breach of the security of the networks, the provider shall notify its subscribers in an appropriate way about the threat, the necessary measures for removing the threat and about the related expenses. Further, in implementation of the governmental national cyber security strategy and as an effort for transposition of Directive (EU) 2016/1148, the Bulgarian E-Government State Agency has prepared and submitted for public discussion a bill on Cybersecurity. The public discussions on the bill were completed on 4 April 2018. When finally adopted by the Bulgarian parliament, the law on cybersecurity is expected to set forth the national competent authorities in the field, the status and functions of the key digital service providers and operators of essential services, as well as the organisation and management of the field of cybersecurity. Is there specific legislation or regulation in place, and have there been any enforcement initiatives in your jurisdiction, addressing the legal challenges raised by big data? Many of the large companies in Bulgaria have already faced some of the challenges raised by big data - data protection, information security, contractual (need of contractual warranties related to personal data protection and cloud services), etc. 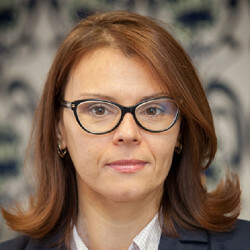 However, apart from the definition for large-scale registries of personal data and apart from including such registries as a privacy impact assessment criterion relevant for the personal data protection rules, currently there is no specific Bulgarian legislation or regulation dealing with big data. While the impacts of the EU General Data Protection Regulation on big data processing cannot be overlooked, there are still no national regulatory authority’s guidelines that touch upon this matter and there is no public information for such guidelines or statutory regulations being planned. Are there any laws or regulations that require data to be stored locally in the jurisdiction? There is no specific legislation governing data localisation in Bulgaria. Yet it should be noted that certain sector-specific legislation does contain data localisation components. For example, entities organising online gambling must store the data related to the offering of gambling games on a controlled local server, located in the territory of Bulgaria, while the geodata and the data related to the cadastre must be stored in the central and local divisions of the Bulgarian Geodesy, Cartography and Cadastre Agency. Another example is the applicable regulation governing classified information requiring that such information, as well as certain documents related to the security of the information systems (the security certificate, the accreditation file, etc) are stored in the organisational unit (ie, the entity itself) and explicitly provide for rules and procedures of transfer. In addition, the statutory requirements for transfer of personal data to non-EU countries could be interpreted as encouraging data localisation as well. In cases of processing classified information, the ECS providers that have been designated as operators of critical infrastructure might be indirectly subjected to particular localisation rules. This is because, pursuant to the statutory rules applicable to the designation as critical infrastructure operator and the related assessment of the risk, in the event of activities concerning access to classified information, the respective rules of the Classified Information Protection Act shall apply. Currently the designation as operator of critical infrastructure is relevant with respect to the activities under the Disaster Protection Act and has the purpose to decrease the risk from disasters and protect the population. Pursuant to the Regulation on the Procedure, Methods and Competent Authorities for Establishing the Critical Infrastructure, Critical Infrastructure Sites and Assessment of the Related Risk, the three mobile service providers - Mobiltel, Telenor, BTC/Vivacom - are operators of critical infrastructure in the ICT sector by default (on the grounds of their designation as entities of strategic importance for the national security). However, based on the rules of the aforesaid regulation, other electronic communications providers might also be designated as operators of critical infrastructure. Summarise the key emerging trends and hot topics in communications regulation in your jurisdiction. Pursuant to the latest available annual report of the CRC relating to 2016 (the one for 2017 not being released yet), during 2016 the total volume of the electronic communications market in Bulgaria has remained almost the same as during 2015 (with a very slight downturn), and it amounted to 2,480 billion leva, representing 2.7 per cent of the total GDP of Bulgaria. As of 31 December 2016, the number of undertakings that have notified the Bulgarian telecoms regulator about their intention to provide ECS in Bulgaria amounted to 1,134. According to said report, the total volume of the telecoms market for 2016 has remained almost the same as for 2015, but with a slight downturn of 0.99 per cent. Similar to previous years, voice telephony services (fixed, mobile and other voice services) have the biggest share in the total volume of the market - 35.7 per cent. Bundled services and data transfer or internet access services occupy second and third position with market shares - 31.6 per cent and 19 per cent respectively. In general, in recent years bundled services have an increasing share in the formation of the total volume of the market. In terms of investments in deploying and maintaining public electronic communications networks, during 2016 452 undertakings have invested 479 million leva in construction and maintenance of public electronic communications networks. The coverage, both in terms of territory and population under GSM standard, is almost 100 per cent. The operators that provided public mobile telephone services in Bulgaria in 2016 were the same as they were in 2015, namely BTC (the former incumbent, operating under the brand Vivacom), Mobiltel (part of Telekom Austria Group, operating under the brand Mtel) (both active in fixed and mobile segments), Telenor Bulgaria (part of Telenor Group until recently as it was announced that the Bulgarian operator will be acquired by the Czech PPF Group) and Max Telecom (operating under the brand Max, went bankrupt in September 2017). Mobiltel continues to have a leading role in this market segment, with biggest market share both in terms of numbers of subscribers (39.68 per cent), as well as in terms of volume of realised revenues in the year (39.41 per cent), followed by Telenor and BTC, with market shares on the basis of subscribers - respectively 33.44 per cent and 26.86 per cent and on the basis of revenues - 30.82 per cent and 29.74 per cent. It is expected that the country’s telecoms market will continue to develop in line with the European telecoms market, as the current tendencies will deepen. Access to the internet services seems to be the main driver for the development of the telecoms market. In order to meet the customers’ requirements for quick and uninterrupted access to the internet, the undertakings will need to continue to invest in next-generation access networks and to develop and offer hybrid services combining the traditional electronic communications services with machine-to-machine communications. The most important recent developments on the market included the entry of Bulsatcom at the market of mobile phone services, which increased the competition between the market participants, and the launching in June 2017 of the first Bulgarian private satellite - BulgariaSat-1, owned by Bulsatcom. The satellite is expected to work for about 15 to 20 years. In terms of recent activities of the Communications Regulation Commission, its priorities for 2017 included monitoring and control over compliance with Regulation (EU) No. 531/2012 on roaming on public mobile communications networks within the Union, ensuring radio frequency spectrum for development of 4G and, in the very near future, of 5G and ensuring the application of Regulation (EU) No. 910/2014 on electronic identification and trust services for electronic transactions in the internal market. Recent legislative changes include the following: a new Law on Electronic Communications Networks and Physical Infrastructure was promulgated and is effective as of 9 March 2018, implementing the provisions of Directive 2014/61/EU. In 2017 the Law on Electronic Communications was amended to provide for measures at national level for the application of the requirements (particularly the ones relating to sanctions) set forth in Regulation (EU) No. 531/2012 on roaming on public mobile communications networks. Also, in October 2017 the CRC adopted amendments to the General Requirements on Carrying out Public Electronic Communications (the main piece of subsidiary legislation in the area of electronic communications) that aim at better consumer protection and enhanced competition between the entities providing public electronic communication services, and are in line with Directive 2002/20/EC. Other key trends in the national communications regulation relate to transposition of Directive (EU) 2016/1148 (the NIS Directive), the deadline for transposing being 9 May 2018. The NIS Directive has not been finally implemented yet into Bulgarian law, but recently various state authorities have undertaken actions towards enhancing the security of network and information systems, as some of these actions have relevance to matters addressed by the NIS Directive. In particular, the E-Government State Agency has prepared a Bill on Cybersecurity and the public discussions on this bill ended on 4 April 2018. The new law on cybersecurity (when finally adopted by the parliament) is expected to create new competent authorities to monitor cybersecurity at national level and to finally implement the NIS Directive into Bulgarian law. Summarise the regulatory framework for the media sector in your jurisdiction. Under Bulgarian law, content is regulated separately from transmission and therefore the rules governing the provision of media services are stipulated in a separate set of legislative acts: in the Law on Radio and Television (LRT) and the pertaining secondary legislation. The Council on Electronic Media (CEM) is an independent state authority vested with the powers to regulate media services in Bulgaria. ‘Media services’ are legally defined in the LRT as audiovisual media services and radio services (see also question 28). Do any foreign ownership restrictions apply to media services? Is the ownership or control of broadcasters otherwise restricted? Are there any regulations in relation to the cross-ownership of media companies, including radio, television and newspapers? Pursuant to the LRT broadcasters shall be traders (individuals or legal entities) registered under Bulgarian law or legal entities registered under the legislation of another EU or European Economic Area member state. The Law on the Economic and Financial Relations with Entities Registered in Jurisdictions with a Preferred Tax Regime, their Related Parties and their Ultimate Shareholders prohibits any entities registered in a jurisdiction having a preferred tax regime, as well as their related parties, to establish or acquire a shareholding in an entity that applies for or has been awarded with a TV or radio licence under the LRT, in the cases when such shareholding provides 10 per cent or more than 10 per cent from the voting rights in the general meeting of shareholders of the entity. persons who were refused or prohibited from carrying out broadcasting activities within one year prior to submission of the licence application. Bulgarian law does not provide for special regulation in relation to the cross-ownership of media companies. The LRT does not, however, allow holders of local or regional broadcasting licences (or related parties) to be issued with a licence with national coverage for the same activity, except when such holders give up the local or regional broadcasting licence. This rule does not apply to holders of a digital terrestrial broadcasting (DTB) licence. What are the licensing requirements for broadcasting, including the fees payable and the timescale for the necessary authorisations? Broadcasting activities shall be provided either upon registration (eg, for satellite and cable, creation of programmes that shall be transmitted through ECNs for terrestrial or satellite broadcasting where such programmes are designated to be received outside the territory of the Republic of Bulgaria) or an individual licence is required for radio and TV broadcasting activities for creation of programme services intended for distribution over ECNs, where a scarce resource - radio frequency spectrum - is used. The competent authority in all cases is the CEM. Non-linear services are subject to simple notification to the CEM. Radio and TV activity for the creation of programmes that are to be transmitted through ECNs shall be carried out based on a licence to be issued by the CEM. Such licence secures that the respective programmes are transmitted by the undertaking to which the CRC has awarded a permit for use of radio frequency spectrum for carrying out electronic communications through ECNs for digital radio broadcasting. The programmes to be transmitted through ECNs for DTB shall be of the type and profile as either determined by or coordinated with the CEM. The procedure for issuing a licence shall be initiated upon request of an interested party or by the initiative of the CEM or the CRC and may take between three and four months. The number of licences so issued is unlimited. The programme licence granted by the CEM is personal and may only be transferred with the CEM’s prior consent and subject to fulfilment by the new licence holder of the requirements existing at the time of the initial issuance of the licence. The licence is granted for a term of up to 15 years and it may be extended by the CEM upon the request of the operator; the maximum term of the licence may not exceed 25 years. Registration is carried out through a straightforward procedure. Registration is of unlimited term. The fees payable for carrying our broadcasting activities are calculated in accordance with the tariff for the fees for radio and TV activity. In general, the fees consist of an initial administrative fee, which covers the costs of issuing the licence or registration, and an annual fee. The latter varies depending on the type of service (radio or audiovisual), the territorial coverage (local, regional or national) and the number of citizens who may take advantage of the licensed or registered service. Are there any regulations concerning the broadcasting of foreign-produced programmes? Do the rules require a minimum amount of local content? What types of media fall outside this regime? Under the LRT, at least 50 per cent of the annual transmission time of TV broadcasters, excluding the time set aside for news, sports events, games, advertising and teletext and teleshopping, is reserved for European content, when this is practicable. It is further prescribed that at least 12 per cent of such programme time (excluding any reruns) shall be dedicated to content from independent EU producers. The law does not limit the application of these requirements to particular types of TV media, and therefore the regime is applicable to any TV programming. With respect to radio programmes, the applicable law requires only that the creation and broadcasting of European works in radio programmes be encouraged, without setting any minimum reserved for Bulgarian or European content. The above requirements are not applicable to programmes that are aimed only at local audiences and that are broadcast by a single operator who is not part of a national network. How is broadcast media advertising regulated? Is online advertising subject to the same regulation? TV and radio advertising is regulated by the LRT, and advertising online via websites, social network platforms, apps or otherwise is regulated by the Electronic Commerce Act (ECA). Both acts impose specific restrictions on advertising material that matches the form and function of the platform upon which it appears and specify the penalties to be imposed in case of non-compliance. In addition, the Protection of Competition Act (PCA) imposes a general requirement for good faith presentation of commercial communication and prohibits misleading advertising content. The principal rules on audio-visual advertising are set in Chapter 4 of the LRT, which was originally drafted to implement the rules of Council Directive 89/552/EEC, and later updated to reflect the requirements of Directive 2010/13/EU (Audiovisual Media Services Directive). Thus, pursuant to the LRT, every commercial communication broadcasted over TV or radio should be clearly recognisable as such and distinguishable from editorial content. The legislator explicitly prohibited ‘hidden commercial communication’, which is defined as any type of TV or radio broadcasting that with words, sound, images of goods, services, trademark or of any kind of activity of a producer of goods or of a service provider aims to promote the goods, services or image of the said natural or legal entity and which, owing to the absence of clear indication, might mislead the audience about the advertising nature of the respective TV or radio programme. The ECA, on the other hand, is less restrictive and only requires that commercial communication published online is clearly defined as such and that the advertiser is clearly identified. Are there regulations specifying a basic package of programmes that must be carried by operators’ broadcasting distribution networks? Is there a mechanism for financing the costs of such obligations? Must-carry obligations for conveying nationwide and regional programmes of the Bulgarian National Television and the Bulgarian National Radio free of charge are imposed on cable and satellite network operators. The CRC also imposed in compliance with the LEC conveyance obligations on the undertakings providing ECNs for distribution of radio and television programme services where said networks are used by a significant number of end users, including end users with disabilities, as their principal means to receive radio and television programme services. The CEM is the competent body to determine through a reasoned decision the type and the profile of the licensed Bulgarian television programmes or radio programmes that shall be mandatorily transmitted over the DTB networks. Pursuant to the LRT, the number of such programmes shall not exceed two programmes for each ECN for DTB. Currently 11 commercial TV programmes have must-carry status only applicable to DTB networks. The operators of DTB networks are obliged to transmit these programmes on the basis of cost-orientated prices set up in the contracts between the network operators and the content provider. If no agreement is reached by the TV programme provider and the respective operator of the DTB network, the prices for the transmission shall be determined by the CEM and the CRC. Currently a must-carry obligation is imposed on the cable and satellite network operators, as well as on NURTS Bulgaria AD and NURTS Digital EAD (both owned by the BTC). Is new media content and its delivery regulated differently from traditional broadcast media? How? No. There is no difference in the rules applicable to traditional broadcasting and those relevant to new media content, provided that such content qualifies as audiovisual or radio broadcast service. However, it should be noted that certain categories of content are explicitly excluded from the scope of the LRT regulations (eg, electronic versions of newspapers and magazines, stand-alone text-based services, media services that are not for mass communication, private correspondence sent to a limited number of recipients over electronic communications networks, services whose principal purpose is not the provision of programmes, ie, where any audiovisual content is merely incidental to the service and is not its principal purpose, etc). In addition, not only online media, but also print media are not regulated by law. When is the switchover from analogue to digital broadcasting required or when did it occur? How will radio frequencies freed up by the switchover be reallocated? Analogue TV broadcasting was switched off on 30 September 2013 and as of that date broadcasting of terrestrial television in Bulgaria is digital only. The relocation of the frequencies freed up as a result of the digital switchover has been carried out based on the Plan for Implementation of Terrestrial Digital Television Broadcasting (DVB-T) in the Republic of Bulgaria, several amendments of the LEC and LRT and the Rules for the Terms and Procedure for Providing Access to Electronic Communications Services via Terrestrial Digital Broadcasting Networks and for Provision of Electronic Communication Services to Individuals with Hearing and Optical Disorders through such Networks (an instrument of the secondary legislation issued by the CRC). Owing to the intensive interest, the licences for use of the frequencies for DVB-T have been granted on the grounds of the competitive bid procedure (so far five licences for use of DVB-T frequencies have been granted). The government is reviewing the possible future use of the 782-862MHz band for mobile wireless broadband applications (the ‘digital dividend’) once this band is released from current government use. During the second phase of the digital switchover the Ministry of Defence had to free up part of the 26 channels in the frequency band 470-574MHz and 574-862MHz used by the ministry. However, mainly for financial and budgeting reasons, the freeing up of such channels for civil use has still not been completed. In 2017 the CRC initiated public consultation procedures to establish: the interest in the use of radio spectrum of 2x2 MHz in the 1800MHz band, whereas the Regulatory Policy for Radio Frequency Spectrum envisages the free radio spectrum in the 1800MHz band to be allocated for broadening, modernisation and development of the networks of the current mobile operators; and the perspectives for use of the free radio spectrum in 1.5GHz, 2GHz, 2.6GHz and 3.6GHz bands. In general, the short-term (until end of 2017), mid-term (until end of 2019) and long-term (after 2020) goals of the government related to planning and distribution of the radio frequency spectrum are set forth in the Updated State Policy on Planning and Distribution of the Radio Frequency Spectrum in the Republic of Bulgaria (adopted by Decision No. 734 of 2 September 2016 of the Council of Ministers). Does regulation restrict how broadcasters can use their spectrum? The LEC provides that the CEM shall issue licences on the basis of which radio or TV programmes shall be transmitted through ECNs for DTB (also see question 19). Such licences shall grant the right to distribution of the programmes by an undertaking to which a permit for the use of an individually assigned scarce resource (radio frequency spectrum) for carrying out electronic communications over ECNs for DTB was granted by the CRC in the territorial range indicated in the permit. The radio or TV programme services shall be broadcast by the above-described undertaking on the basis of a written contract, unless otherwise provided in law. The undertaking providing electronic communications over ECNs for DBT shall distribute licensed TV programmes whose type and profile have been determined by or coordinated with the CEM under the rules of the LRT. Is there any process for assessing or regulating media plurality (or a similar concept) in your jurisdiction? May the authorities require companies to take any steps as a result of such an assessment? There are no specific legal rules or process for assessing media plurality by competent state bodies or for instructing companies to take steps in that regard. There is a general requirement that when deciding on whether to issue a licence for radio or TV activities the CEM evaluates, among other things, whether by issuing a licence favourable conditions for media diversity and pluralism will be created. Additionally, the LRT also prescribes that in conducting activities, the CEM shall protect, among other things, the freedom and plurality of speech and information, as well as the independence of all providers of media services. Provide a summary of key emerging trends and hot topics in media regulation in your country. The digital switchover is without a doubt the event that has most influenced the media environment in Bulgaria in the recent years. During that period the CEM regularly announced and carried out procedures for the award of licences for radio and television broadcasting activities for the creation of programme services intended for distribution over ECNs for DTB. In its latest report on its supervisory activities within the period 1 July 2016 to 31 December 2016 (the report for 2017 is not available yet) the CEM reported that 59 providers of analogue radio services hold a licence in the radio sector and transmit 85 radio programmes. Radio programmes are also transmitted via cable - there are 27 registered providers of 28 cable radio programmes. There are 120 registered Bulgarian providers of audiovisual media services via cable and satellite, which create 150 TV programmes, and are active on this market. Only six programmes created by four providers of audiovisual media services are broadcast via the DTB networks. In its Decision No. 279 of 24 March 2015, the CPC adopted an advocacy opinion dealing with the legal framework governing the must-carry obligations. The CPC concluded that the implemented model of digital switchover in this country led to a lack of interest in digital terrestrial TV and there was not enough content to be distributed by the DTB network operators. The competition authority found that the strengthening of cross-platform competition among media, expected as a result of the digital switchover, has not occurred, nor have new undertakings entered this market despite the increased capacity for broadcasting of radio and TV content. According to the CPC it could be argued that the main objectives of the digitalisation, namely to use the available spectrum more efficiently, to provide better quality and programme diversity for consumers’ benefit, has not been achieved as expected. The CPC further recommended that the competent state authorities (including those vested with legislative powers) review the currently must-carry rules and a better-balanced solution be found in order to provide consumers with the advantages of free and paid access to radio and TV content. LRT is constantly subject to amendments and most of the legislative changes relate to particular issues that have captured the attention of Bulgarian society in a particular moment (eg, types of programmes offered by the Bulgarian National Radio and the Bulgarian National Television; as well as management of the Bulgarian National Television) as well as implementation of the pertinent EU legislation (amendments in relation to article 3 of Directive 2010/13/EC). The most recent amendments to the LRT relate to establishing conflict of interest of members of CEM and consequences therefrom, further to the new Law on Counter-Corruption and Unlawfully Acquired Assets Forfeiture, which entered into effect in January 2018. In its Agenda for 2018, CEM focuses on values essential for Bulgarian society and emphasised, among others, the following supervisory activities with respect to the media services providers: regular monitoring on the social diversity and restraining any act of hate speech, monitoring that the gender equality and non-discrimination of women is guaranteed as well as ensuring the protection of consumers and children, etc. In terms of expected changes, with a view of the current lack of transparency of ownership in the media sector, in February 2018 the government formed a working group that is assigned with the task of preparing amendments to the media legislation and proposing a mechanism for disclosing the ultimate owner of the media service provider and its sources of financing, as well as the responsible state body that will apply such a mechanism, and the sanctions for non-compliance with the respective obligations of media service providers. The proposed amendments to the currently effective legislation should also include an obligation of CPC to periodically prepare sector analysis of the media market in the country, encompassing all media, and in case the CPC establishes that the competition on the media market is restricted or breached, there should be a remedy mechanism. Furthermore, by Decision No. 366 of 29 March 2018 the CPC initiated proceedings for carrying out sector analysis of the media market in the country, which shall evaluate the characteristics and structure of the market, the participants, the degree of market concentration, the sector dynamics, the legal framework, the self-regulation and conclusions shall be made as to the level of competition in the market. Which body or bodies regulate the communications and media sectors? Is the communications regulator separate from the broadcasting or antitrust regulator? Are there mechanisms to avoid conflicting jurisdiction? Is there a specific mechanism to ensure the consistent application of competition and sectoral regulation? State governance in the telecoms sector is exercised by the Council of Ministers (ie, the government), the National Radio Frequencies Spectrum Council and the Ministry of Transport, Information Technologies and Communications. The Council of Ministers adopts and updates the State Policy in the Electronic Communications Sector and the State Policy on Planning and Allocation of Radio Frequency Spectrum. The latter is drafted by the National Radio Frequencies Spectrum Council, which also maintains the National Plan for Allocation of Radio Frequency Spectrum. The Ministry of Transport, Information Technologies and Communications has general oversight over the electronic communications and information society sectors, and its powers include, among others, preparing drafts of secondary legislation acts, representing the country in international organisations, etc. In addition, broad sector-specific competence is vested with the CRC, which is an independent state agency and a separate legal entity. The CRC is a collective body, consisting of five members, including a chairman and a deputy chairman. The CRC chairman is appointed and released from office by the Council of Ministers. The deputy chairman and two of the members are appointed and released from office by parliament, and one CRC member is appointed and released from office by the president. The term of office for all members is five years, and a member may not serve for more than two consecutive terms of office. determine the undertakings with SMP and impose on them, amend or revoke specific obligations aiming to preserve or restore effective competition. The CRC is also the authority competent to issue, amend, supplement, transfer, suspend, terminate or revoke permits for use of an individually allocated scarce resource. The CRC has the power to resolve disputes between undertakings providing electronic communication services and review claims submitted by end users in specific cases envisaged in the LEC. The CRC maintains mutual cooperation with the national regulatory authorities of other EU member states and with the European Commission in order to procure the development of consistent regulatory practices and implementation of EU law. Another public authority with specific competence in the media sector is the CEM. It is an independent state agency and a separate legal entity, comprising five members: three appointed by the parliament and two by the president. The term of office of all CEM members is six years. The composition of the authority is renewed every two years within the parliament’s quota and every three years within the president’s quota. A member of the CEM may not serve for more than two terms of office, and such terms of office may not be consecutive. undertakings that distribute Bulgarian and foreign programme services, etc. Finally, the CPC is also competent to intervene in the telecoms and media sectors in order to monitor compliance with the PCA. The PCA covers all business operations in all sectors of the economy and the presence of sector-specific regulatory requirements does not prevent its application. The PCA comprises the substantive rules on restrictive horizontal and vertical agreements, abuse of dominance and monopoly, merger control, sector inquiries, compliance review of legislation and administrative acts, and unfair trading practices. The PCA also constitutes the national competition authority - the CPC - and sets out the rules for antitrust investigations, merger control, sector inquiries, enforcement and imposition of penalties for breaches of competition regulations. The principal responsibility for enforcement of the competition rules in Bulgaria falls to the CPC. The latter is an independent, specialised state agency, composed of a chairman, deputy-chairman and five ordinary members (a total of seven) elected by Parliament with a tenure of five years. The CRC and the CPC must act in coordination and cooperation. Mergers and joint ventures in the telecoms and media sectors that meet the relevant national thresholds are reviewed separately by the CPC and the CRC, each applying its special statutes. In theory, the CRC should have exclusive jurisdiction to monitor compliance with the LEC and to regulate SMP, but in practice abuse of SMP may fall within the purview of the PCA and thus should be also investigated and sanctioned by the CPC. There are some mechanisms aiming to ensure consistency in the application of the different regimes and to avoid conflict in the exercise of jurisdiction. First, there is a cooperation agreement between the CPC and CRC, whereunder the regulators inform one another of the draft decisions they intend to take and assist each other in the course of their investigations. Second, the LEC contains specific provisions regarding cooperation between the CRC and CPC, especially with respect to ex-ante market review. The CRC is obliged to consult the CPC when adopting a methodology for the terms and procedure of relevant markets definition, analysis and assessment, and criteria for designating undertakings with SMP (the currently effective version adopted by CRC Decision No. 2076 of 23 October 2012, promulgated in State Gazette No. 89 of 13 November 2012, in force as of 13 November 2012). How can decisions of the regulators be challenged and on what bases? non-compliance with the purposes of the law. The SAC reviews the appeal in a panel of three justices (a chamber) and can affirm the respective regulator’s decision, affirm and revise in part the administrative decision (eg, revise the amount of the sanctions imposed) or quash the decision and remand the case to the authority for de novo proceedings. The decision of a SAC chamber is subject to further appeal on points of law before a SAC panel of five justices (a grand chamber). The grand chamber focuses primarily on the quality of preceding judicial review, but it would also analyse the underlying administrative act. If it quashes the judgment of the chamber, it must decide the case on the merits, unless a manifest breach of procedural rules was committed or additional facts need to be established, for which written evidence is not sufficient. In the latter case, proceedings must be remanded back to the first instance court or to administrative authority - depending on which stage the procedural violation occurred. The decision of the grand chamber is final and is not subject to further appeal. Describe the main competition law trends and key merger and antitrust decisions in the communications and media sectors in your jurisdiction over the past year. The newest development in the media sector is the ongoing transfer of control over Nova Broadcasting Group (NBG) from the Swedish Modern Times Group to the Czech PPF Group. As a first step in this process, NBG consolidated its control over NetInfo - the largest Bulgarian online services provider - by acquiring all shares in the company. Thus, currently NBG is the largest provider of media and content services operating both in the traditional and in the online domain. Exciting developments are also happening in the telecom sector, where Telenor announced its intention to sell its CEE assets, including the Bulgarian subsidiary, to PPF Group. These two parallel transactions could lead to the creation of a massive media-telecom company that would change the rules of the game in many service markets in Bulgaria. At the same time, the banks holding the assets of the unsuccessful Max Telecom are eager to find a strategic investor that could make actual use of them. Thus, competition among telecoms is expected to intensify in the future. 2017 was also marked by several interesting antitrust investigations in the telecoms and media sectors. Both BTV Media Group and NBG were investigated for alleged abuse of superior bargaining position on request from several small cable network operations. They complained about tying requirements imposed by the big content providers - selling access to high rating channels only in a bundle with low rating ones. With its Decision No. 220/2017 the CPC acquitted NBG, finding that the company did not have onerous terms in its distribution agreements, but held that BTV Media Groups had acted in bad faith in three cases, imposing as a result three fines amounting to a total of 2.9 million leva (€1.5 million). The behaviour of the multiplex monopoly (NURTS Digital, owned by the BTC) was challenged by one of the DTB companies, First Digital, alleging unjustified termination of contractual relations amounting to refusal to supply. The complaint was eventually dismissed as the CPC found that the behaviour of NURTS Digital was in line with the good faith requirements, as the complainant systematically failed to pay the service fees due (CPC Decision No. 254/2018). Djingov, Gouginski, Kyutchukov & Velichkov is one of the largest and most prominent business law firms in Bulgaria and provides first-class legal services. Founded in 1994 by the four name partners, the firm currently employs 52 lawyers, including 14 partners, and maintains offices in Sofia and Berlin. Throughout this edition, and following the unique Getting the Deal Through format, the same key questions are answered by leading practitioners in each of the 71 jurisdictions featured.